The content of the site is free, however if you would like to support this site you can do this by giving a small donation. 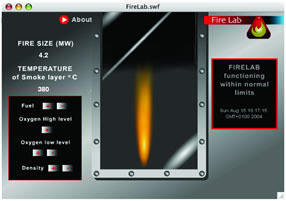 The Fire Lb is an interactive simulation of fire development where you cantrol the fire growth. Clicking on the button below will enable you to discover how quickly a room in your house will fill with smoke. 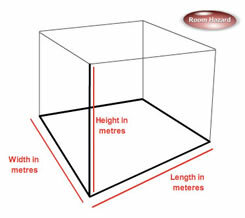 To use this tool you will need to know the length, and width and height of your room in metres. We have produced the basic elements required to enable you to produce a fire safety logbook. By completing the tasks in the downloadable logbook, you will have an ongoing record of measures that may save your life in the event of a fire in your home. To help you we have produced an example of how we think it should be drawn and written.